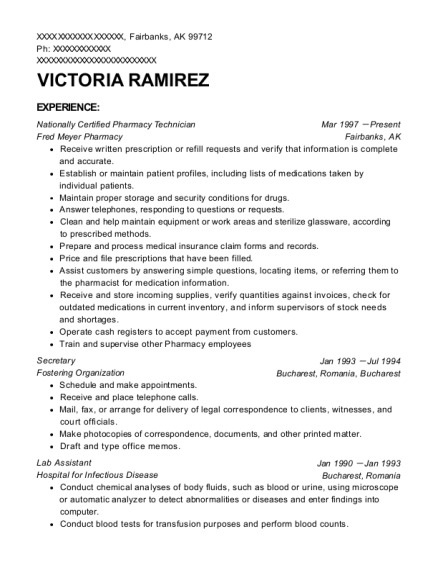 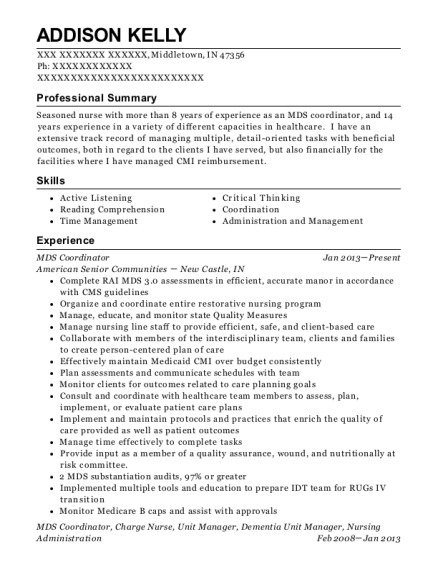 This is a resume for a Nationally Certified Pharmacy Technician in Fairbanks, Alaska with experience working for such companies as Fred Meyer Pharmacy and Fostering Organization. 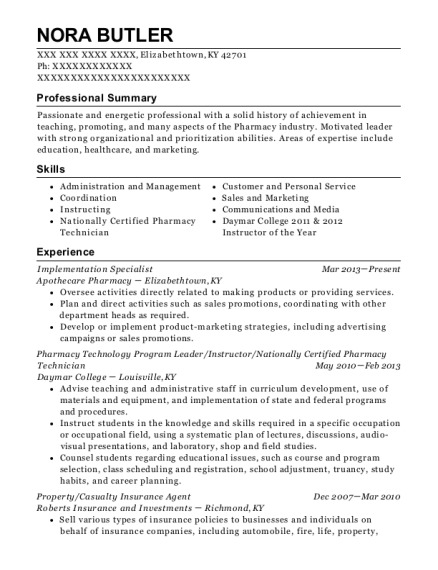 The grade for this resume is 0 and is one of hundreds of Nationally Certified Pharmacy Technician resumes available on our site for free. 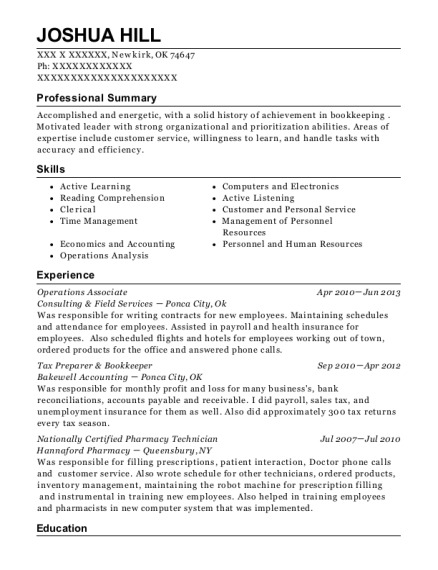 Use these resumes as templates to get help creating the best Nationally Certified Pharmacy Technician resume.